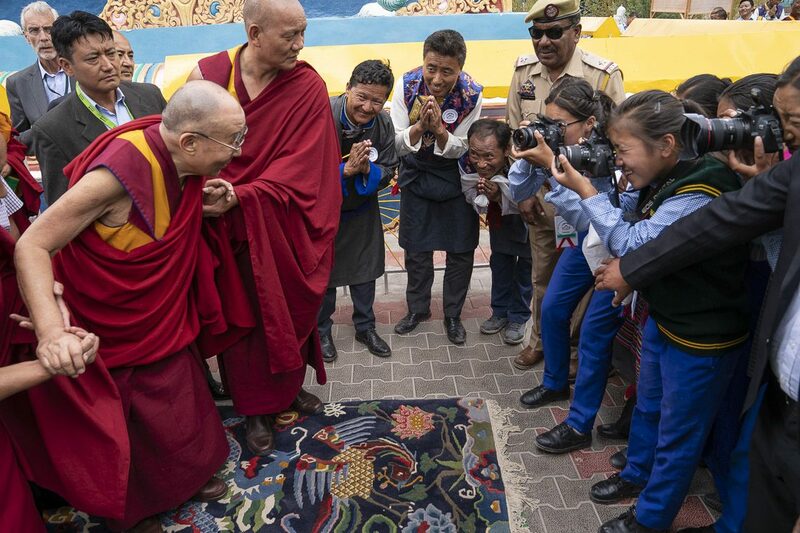 Ladakh: Addressing students and staff of Tibetan Children’s Village gathered at the open ground under the bright blue sky, His Holiness said that majority of Tibetans in Tibet and in exile place their trust him and his following message is for them. His Holiness clarified that the Tibetan struggle is not against Chinese people per se but against ‘narrow-minded, hard-liner’ members of the Chinese Communist Party. 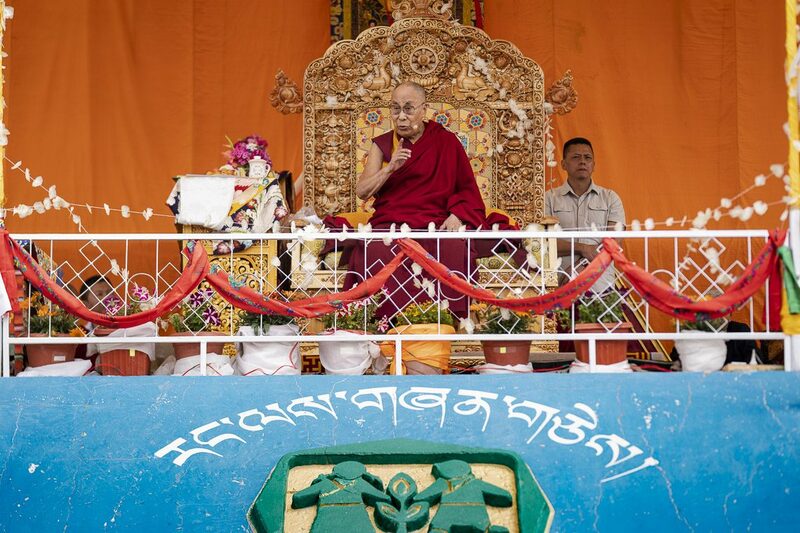 “The hardliners have misrepresented the Tibetan efforts to preserve their culture as acts of separatists and have subjected Tibetans and monastics to brutal treatment and destroyed thousands of religious institutes,” His Holiness lamented. His Holiness admonished the Chinese communists for trying to obliterate Tibetan cultural identity but said that the unwavering determination of Tibetan people trumps over such vicious efforts. 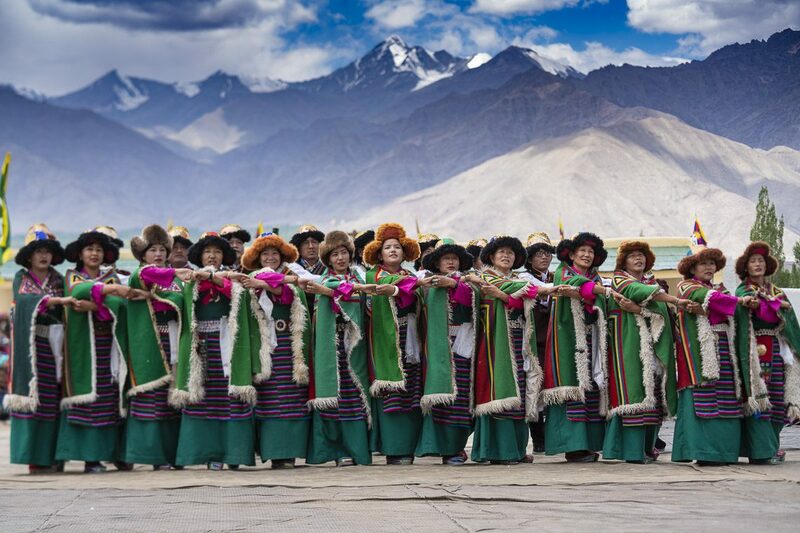 Referring to how Tibetans embraced Buddhism since the 8th century, His Holiness expressed pride in the fact that Tibetan Buddhism is flourishing today with a reach to over 400 million Buddhists in China. His Holiness affirmed that Tibet was never a part of China and going by historical records the three empires that flourished in the 7th, 8th and 9th centuries are—China, Mongolia and Tibet. “None of the Chinese historical documents show Tibet being a part of China,” His Holiness said. Explaining the trajectory the Tibetan leadership took in light of the Chinese illegal occupation of Tibet, His Holiness said, following Pandit Nehru (former Indian Prime Minister) advice that the United States would not stage war with China over Tibet and that the ultimate and viable option is to engage with Chinese, we appealed to the United Nations and finding no swift resolution, resorted to entering into dialogue with China since 1974. His Holiness spoke emphatically about the ‘Middle Way Approach’ and said that a majority of Tibetans in Tibet and in exile support the approach. His Holiness expressed hope that the Chinese people will not oppose the Tibetan approach if they realize that Tibetans are not seeking separation but reconciliation. “China has seen great changes over the last four decades. I firmly believe we can look forward to further positive change,” affirmed His Holiness.